The inevitable moment some have dreaded and others have eagerly anticipated is soon to be upon us -- pen and paper RPG king Pathfinder is officially getting a second edition. Just like with the 1st Edition, a massive Pathfinder 2nd Edition playtest is about to get underway so the players can give direct input on what changes are made as this aging franchise gets a whole new version. 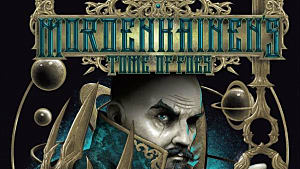 This sudden move has left more than a few longtime players blindsided, given that the general consensus from major Paizo figures like Erik Mona has always been that a second edition wasn't needed and would be years off, if it ever arrived at all. That notion was so prevalent among the player base that Paizo even needed to include a "Didn't You Say You'd Never Do This?" section in the FAQ about the upcoming 2nd Edition. 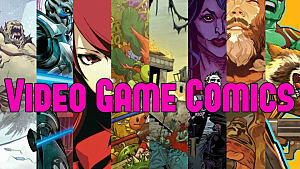 Even just two or three years ago, the various gaming forums and sub-reddits were flooded with messages vehemently opposed to a new edition whenever anyone new would come on and suggest such a blasphemous idea. 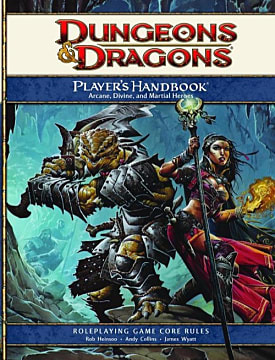 The whole reason people went with Pathfinder was so they didn't have to switch editions, sticking with what was essentially D&D 3.75 to avoid having to rebuy all the same books over again with 4th edition. 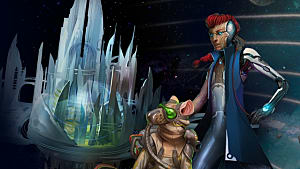 Just a year back, when sci-fi spin-off Starfinder landed, it reignited "conspiracy theories" that the launch was a back door for testing out an upcoming Pathfinder second edition. In this case, it turns out all those screaming message board voices were absolutely correct, and it is the stodgy old naysayers who are now eating crow. No tinfoil hat necessary -- this was a test for a new version! It took a rather astounding amount of time for a new edition to be announced, though, especially in gaming years. 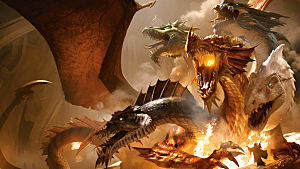 A whole generation of gamers have grown up since Wizards of the Coast shuttered both Dragon and Dungeon magazines, essentially forcing Paizo to use the Open Game License to create new material. The OGL is what allowed the Pathfinder phenomenon to overtake the gaming world, and while Wizards of the Coast meant for it to save gaming so players would focus on one system, it ended up creating the company's biggest competitor. That competitor would eventually overtake and far exceed WOTC when Pathfinder got into full swing. It didn't start out that way, though. 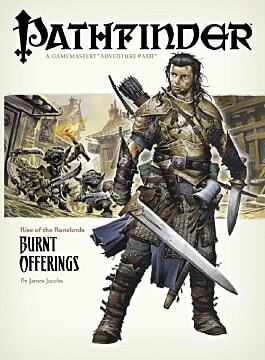 I still vividly remember walking into a game shop back in the summer of 2007 and asking if they were getting anything Pathfinder related because I was excited to try out the "Rise Of The Runelords" adventure path. The shop owner had absolutely no clue what I was talking about and insisted I was confusing a new book series with that weird viking movie called Pathfinder (it would only be a few months before he saw the error of his ways and the shelves were stocked with Paizo material). Just under two years later, when Pathfinder went from 3.5 to its own distinct edition, it was basically the equivalent of early Christmas for the tabletop gaming crowd. 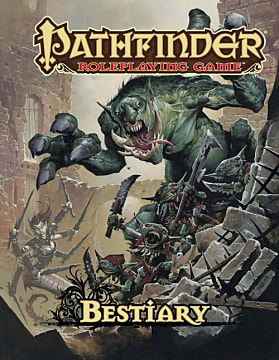 There was a serious sense of wonder of checking out the first Bestiary -- which was leagues ahead of WOTC's Monster Manuals in nearly every way -- down at the local book store. Seeing all those brand-new interpretations of classic monsters had me positively giddy, with stunning art and design revisions that really brought them all to life and made them stand out from their original counterparts. A few months later, I could not believe my good luck at getting to pick up the GameMastery Guide early, when an employee at Hastings (a sadly now-dead book, movie, and music chain) put the book out a week before it was supposed to actually release. 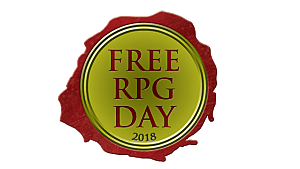 From then on I was hooked, and while there are plenty of other systems I enjoy, Pathfinder has always felt like home on the high fantasy side of roleplaying. I know I'm not the only one who feels that way, with a legion of adoring fans all now getting antsy over the prospect of a new edition changing everything. 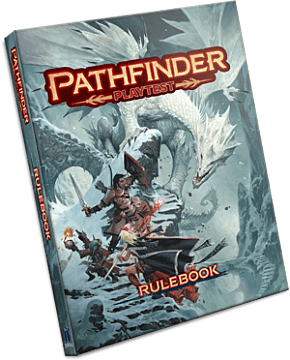 The Pathfinder 2nd Edition playtest officially kicks off August 2nd, when you can download a free PDF of the playtest rules, or for those completionists who must have everything Paizo puts out, you can buy a hardcover copy. Those burdened by an excess of cash who have run dry of common sense can also buy the deluxe hardcover version with foil-debossed faux-leather cover and ribbon bookmark. Why you would go to such lengths to get an otherwise free playtest version of the rules that will be obsolete in months is beyond the comprehension of this humble reviewer. All that aside, there's a big question here that everyone needs to ask themselves: Why bother with a new Pathfinder edition at all? 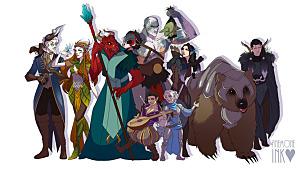 D&D's 4th Edition was (rightfully, in my mind) attacked for being too constrained by forcing players to use minis and too focused on taking video game concepts and putting them on the tabletop. 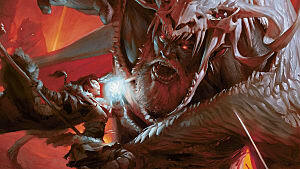 Throughout that whole era, Pathfinder was touted as the better alternative for the more serious roleplayers. Here's the thing, though ... Pathfinder's bloat has led it to the same location, just by a longer route. 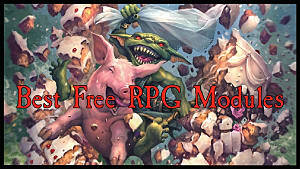 Have you tried to play Pathfinder without minis on a combat grid lately? You lose out on a lot of the game, as the rules have expanded out with all those feats, archetypes, etc. that are based around being within specific range, flanking with another character, and so on. Incremental changes over the years -- across 40 hardcover books and probably more soft covers than I could count -- have resulted in a very large, unwieldy system. New classes, new racial and class archetypes, the offbeat take on psionics, haunt rules, and more have resulted in something like a towering monstrosity that is pretty top-heavy at this point. We haven't seen the full Pathfinder 2nd Edition playtest rules yet, but based off what's been revealed in advance videos and the playtest FAQ, there are very clear design cues being taken from D&D's celebrated 5th Edition. That shouldn't bee too surprising, since 5th Edition currently seems to be winning the battle between Paizo and Wizards (both companies pointlessly insist no such rivalry exists, in open defiance of the clear reality of the situation). The Pathfinder 2nd Edition appears to be remaining under the 3rd Edition OGL, however, which on the one hand makes sense for continuity, but on the other is sort of odd. Why not go all in and create your own custom rules? This is especially head scratching, as the answer to the FAQ question "Is Pathfinder Second Edition compatible with First Edition?" over at the playtest site seems to be a very long-winded way of saying, "Not really, no." So what sort of changes can we expect in this minor-but-maybe-major edition shift? It would appear more balance between spellcasters and melee classes is a big selling point, as well as streamlining proficiencies and changing the way actions work (as well as the total number of possible action types). In other words, it seems like we're sticking to standard Pathfinder and Golarion territory overall, but with some streamlining and simplification on the rules to make it a little more accessible, while not giving up the major elements. Some of the features from the various splat books are now being folded into the core rules, like the alchemist class and goblin playable race. While this isn't mentioned in the FAQ, it would be nice to see the skill system revamped during the playtest. 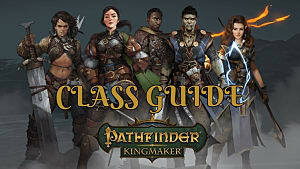 That may be too much of the core chassis to mess with, but honestly, there are too many skills in Pathfinder. They take up half the page on the character sheet, and it wouldn't be tough to whittle those down and change how they work. 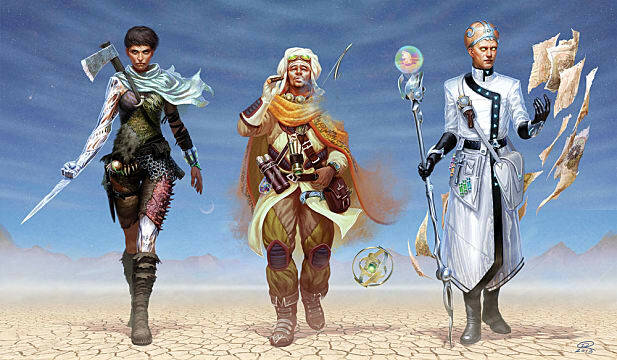 I'm not expecting Paizo to go full-on into Numenera territory, where skills are entirely abstract and made up by the players, but some simplification is more than called for. UPDATE: since this article was originally written, Paizo's Jason Bulmahn commented on a playtest that skills are getting shaken up. Most notably, Perception is no longer a skill but rather a basic ability that all classes have at varying levels of proficiency. A skill called "Society" also seems to serve somewhat of a similar purpose as Knowledge Local, indicating skills are getting condensed down to some degree. Quit Complaining and Enjoy the Game! For all the trepidation over a new edition invalidating what came before, there's a simple truth here that shouldn't be overlooked -- Pathfinder will have been around for more than 10 years when Second Edition actually lands in full form next year. For even the most stalwart opponents to change, that seems like more than long enough for any edition to run its course. Pathfinder First Edition had a long and glorious history, featuring more than 20 adventure paths and a bunch of killer and unexpected products along the way. So long as Paizo doesn't fall into the trap of reprinting everything classic and forcing us all to rebuy a bunch of Golarion campaign material in the new edition, an updated version of the core rules isn't a bad thing. The original version of the rules will also remain in print in pocket format, so it isn't entirely going away. As we move forward into Pathfinder 2nd Edition, it seems like Paizo has no signs of slowing down on the tabletop, card game, or even digital media front. While the ill-fated MMO Pathfinder Online crashed and burned, the Owlcat single-player game Pathfinder: Kingmaker (which will still use the 1st Edition rules) is looking much more promising and seems to exude that classic Baldur's Gate/Pillars Of Eternity feel. Finally getting to dive into a full Pathfinder CRPG just as the new rules version arrives will be a fitting sendoff to 1st Edition. What do you think about the upcoming edition change? Are you excited to try out the Pathfinder playtest this coming August, or do you plan to stick to what you know and stay with 1st Edition?